How to Maximize The Benefits of Distance Education? Distance learning has certainly gained attention and reputation owing to some of its unmatched benefits. However, not everyone taking a distance learning course is always able to absorb the maximum benefits out of it. 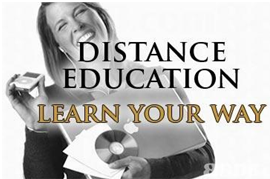 Here are some tips to maximize the advantages of distance education. Distanceeducation, also known as D-learning, has its roots in the 19th century when Sir Isaac Pitman, a person of British nationality, started to mail text transcribed into shorthand on postcards and receive transcriptions from his students. The University of London was the first educational institution in the world to start a distance learning course, through its External Programmed in 1858. Since then, the craze of distance education has only grown. With the emergence of internet, online learning has also added another dimension to distance education, making it more popular than ever. The things that have propelled distance learning to such popularity are its benefits as listed below. 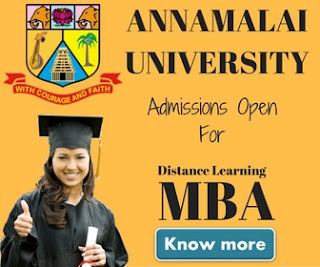 New age distance learning courses provides students with flexibility to study from anywhere, anytime, provided the student has all the required resources such as study material, computer and internet connection. This flexibility allows students to work part-time and pursue education simultaneously. In order to make sure you gain maximum from this convenience, it is essential to be engaged in some productive activity that offers your career the optimum growth. Whether it is engaging in another vocational course, or pursuing a part time employment, the choice is entirely yours. However, ensure that you are able to give the distance course enough time that it truly deserves in order to gain maximum RoI. A candidate undergoing distance education certainly incurs lower costs than a candidate who is pursuing regular education. The savings come in form of commuting costs, education fees, and other additional expenses like the constant need to buy new books, or getting meal plans. With lower costs the return on investment improves considerably for courses such as distance MBA. While a regular MBA can cost too much and with the global economy in its weakest phase, job opportunities that offer optimum return on investment are harder to find than ever. 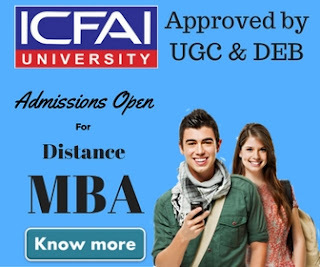 In such situations, a distance MBA course can prove to be the best alternative, offering necessary education related to different subjects of management. To make sure that you gain maximum from this better return on investment you need to put in extra efforts while undertaking the course. Higher efforts will result in better returns and put you in a position to easily gain an entry level job opportunity. The most productive of all benefits include self-paced learning, where the student can learn as per his own pace. While in regular classroom method, where there are so many students, all with different aptitude levels, it becomes difficult to give attention to the need of every student, distance learning mode solves this problem by following a self-paced learning model of teaching. Under this, the students can learn the course at their own speed. These education programs are structured accordingly, so as to complement the lifestyle of busy professionals. Learners have the convenience of being able to study at times that suit their lifestyles and at times that fit with their commitments. Self-pacedlearning model works great for people, who have some prior knowledge or experience in the subject area, so that they can select the best material to suit their needs. Thus, if you want to maximize your gains from self-paced learning make sure you have some firsthand knowledge of the subject. In addition to that, you need to have adept time management skills so as not to fall in the trap of procrastination. Indeed there are some exciting opportunities that come with collaborative learning classroom environment, to compensate for which you might need to attend seminars, and other networking events in your field.